Websites need clicks to get advertisers in order to survive in the constantly fluctuating internet marketplace. You’ve seen them – “I’m Not Sure It’s Possible To See This Chart And *Not* Think It’s A Big Problem,” “Everyone I Talk To Says ‘Who Cares?’ Then I Show Them This And They Freak Out A Little,” “This Is The Personality Trait That Most Often Predicts Success,” and the list goes on and on. (I’m intentionally not linking to the related websites because, again, click bait.) More often than not the headline fails to give you any indication about what the article is actually about. “I’m Not Sure It’s Possible To See This Chart And *Not* Think It’s A Big Problem” could be about the rise of poverty in the United States (unlikely), the continued belief in creationism (maybe), or something to do with Kim Kardashian (most likely.) Either way, you probably need to click on the link to actually find out. And that’s what the websites want. I get it. What I cannot accept is historically reliable news outlets following this trend. As an instruction librarian, I teach students how to critically evaluate information sources. What happens when a source such as The New York Times starts inserting misleading headlines? The following is a tweet by a friend of mine, Daniel Victor, who is a social media editor at the NYT. Dan always posts interesting content from the NYT, especially when it’s sports related, so I naturally clicked on the article. “In Terms of Fans, the Heat Have Already Beaten the Spurs” – “Fans” in the sense it’s used in the headline is all encompassing. How did the NYT collect data that accurately represents the demographic spread of NBA fans across the country? Ow, that’s a pretty map! “Based on estimates derived from which teams people “like” on Facebook…” Did you read enough of the article to get to this point? If you did, did you connect this sentence to their definition of “fans”? @bydanielvictor I get it. It's just the headline. If it was "In Terms of Facebook Fans…" problem solved. So what’s the big deal? It’s just a headline and those who are truly interested will read the article and can extrapolate how they define “fans.” I think it’s a big deal when I think about the students with whom I work. The majority will not read the entire article. They’ll stop at the map. They won’t bridge that final gap of interpreting what the map is actually representing. Maybe this is OK for daily, casual information digestion, but it’s a habit that seeps into the classroom as well. It breeds an information semi-illiterate society. So what can librarians do? The same thing we’ve always done. Continue to push for information literacy instruction in college classrooms. Push for critical IL instruction and not database demonstrations. Use examples like this! It isn’t egregious, it’s from a reliable news source, it’s an interesting topic, and it demands higher level thinking. A critical evaluation of an article like this represents the lifelong information literacy skills the LIS field espouses. Embrace it! When Do We Become Experts? An ACRL committee membership recently placed me and a handful of colleagues in the position to choose the recipients of two prestigious awards. As the secretary of the committee, I saw my role as a cross between an observer and cautious participant. Here I was, thrown into the big leagues, having to judge whether a particular publication was significant enough in its advancement of the field and I suddenly felt like a tee ball player stepping up to bat against Greg Maddox circa 1993. I felt as though I had a decent grasp of the field, but I began to wonder – at what point will I consider myself an expert? When the committee met to make the final decisions, I saw that I was right on target with the majority. Of course a few of my top choices were on the periphery, but a few were aligned with the majority of the committee as well. Consensus is a difficult thing, even in small groups, but the discussions which emerged surrounding professional disagreements highlighted the nuances in committee members’ individual expertise. The entire experience was illuminating, not only as an introduction to ACRL committee work, but also for my own professional development. The nomination and decision process made me a bit uneasy at first, but I finished feeling more confident in my ability to critically examine literature in our field. I left understanding that although I’m not exactly an expert yet, I’m on my way and doing better than perhaps I thought. So why does this matter in the bigger picture? My greatest struggle with my developing relationship with expertise centered around the idea of how I present my expertise to students and faculty. In the context of researching and helping students become information literate, I do feel as though I’m an expert. I don’t know where the disconnect is when it comes to information knowledge within my own profession. I don’t have the answer, but I’ll keep looking. And isn’t that what experts do – continually look for more knowledge to better answer the types of questions that really have no answers? I never understood. What’s one class period? You’ve always said you want your students to produce the best research papers possible. When your students submit papers with only an assortment of open web sources, you shrugged your shoulders, deducted points, and said, “Well, they should have known better.” But how could they include appropriate, scholarly sources when they know neither what they are nor where to find them? But I get it now. I’ve spent time in the trenches. My one credit class that meets only 50 minutes a week overflows with content. I struggled to fit in the time. But I did. Granted, I had the advantage of being able to disperse the content throughout the course and not in a one-shot session, but I did it. You can too! Even in your three credit course that meets 2 and half hours a week. But I have now walked a small portion of your journey, and I can promise you this: The next time I hear that you don’t have enough time for librarians to teach information literacy skills, my eyes won’t roll quite as much. Each fall semester I teach a number of information literacy sessions for freshmen in RSP 101: Introduction to the Culture of Collegiate Life. For the past two years, one of the faculty preceptors for this course asked me to focus on academic honesty, plagiarism, and citing sources. His class session is always one of my favorites. I love a good debate and nothing seems to fire students up like the topic of academic honesty and plagiarism. It’s a chance to witness confirmation bias at its finest; unless I reaffirm what a student already believes as academic honesty and plagiarism, they fight back. The student needed 20 sources, I helped him get started with about 7. (As a side note, the student and I were both on a time crunch – we only had 20 minutes together.) Now, there are few things that irritates me more than a student who blurts out the untold secret. Sure, we help students find articles, but when you need 20, we’re not going to sit there and handpick them for you. We’re going to give you the skills and tools to discern between the results yourself. 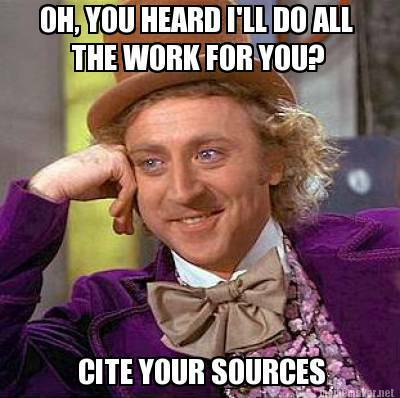 Then I compared this to the student who comes in asking for help that only needs 3 or 4 sources. Usually, we help them find all of their sources. Are we entering a grey area of academic honesty? Are we misusing academic resources – the resources being our own expertise? After much thought and discussion among my colleagues, I’ve come to the conclusion that the occasion of crossing the line into academic dishonesty is rare. 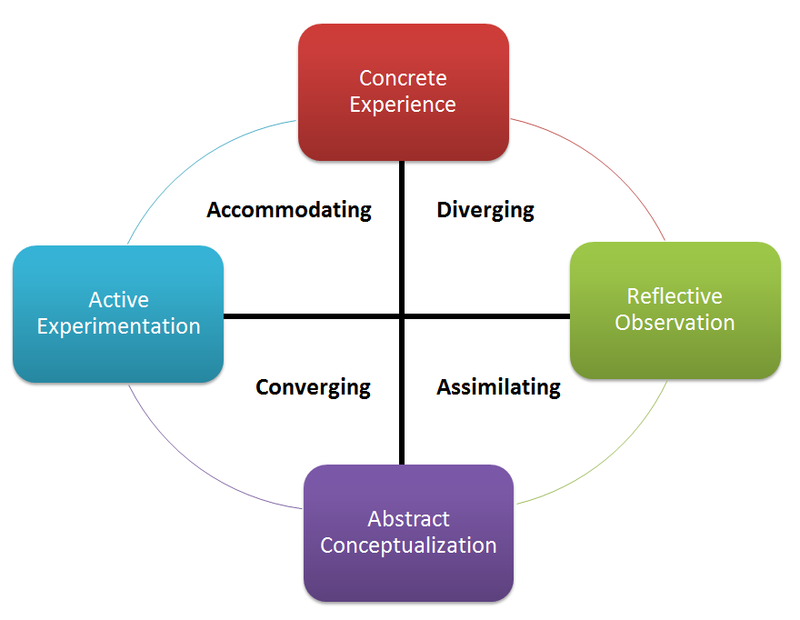 The distinction aligns with the teaching mission of reference. We are working with the student, not for the student. We’re showing them how to search effectively. We’re not telling them how to use the information we help them find. We’re not working in a vacuum. We’re helping them learn the research process. We’re making them information literate students. Rare is the case that the librarian does it all for the student. I’m aware this is a grey area. Some may think that we need to help the student find the 20 sources; however, I feel as though that’s ultimately doing them a disservice. As a librarian, we are professionals and must use our best judgement to determine how far we’re comfortable pushing the line between academic dishonesty and genuinely helping a student. I think of this line often and I know where it’s placed in my mind. Whenever I work with a student, I’m very aware of how close we get to that line. And I know that it’ll be crossed occasionally. As a librarian, I want to help students succeed on their own and know it’s OK to ask for help, but they also need to learn to work with me.